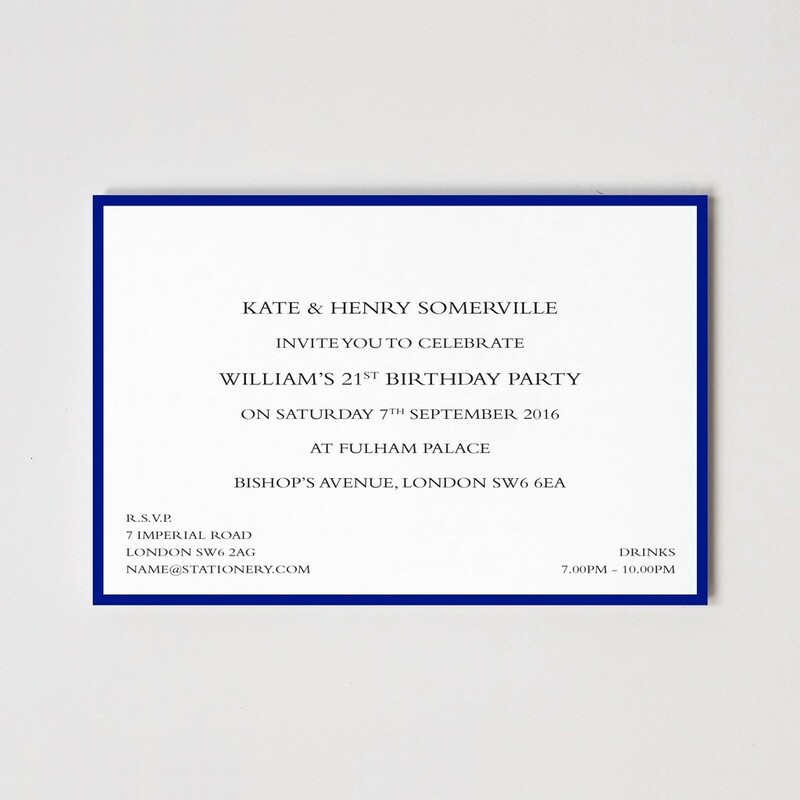 Add a subtle splash of colour to your party thanks to our elegant, yet striking, Colour Border Invitations. With the choice of 17 beautiful border shades our invitations are expertly crafted using raised print thermographic technology on quality ivory or soft white 400gsm paper stock. Measuring 127mm by 178mm, available in sets of 50 to 250 and with the choice of typestyle, each set arrives with matching envelopes.